I’m so excited to be guest posting for Sarah while she’s away! I love A House in the Hills and have gotten many of my favorite healthy recipes from here. 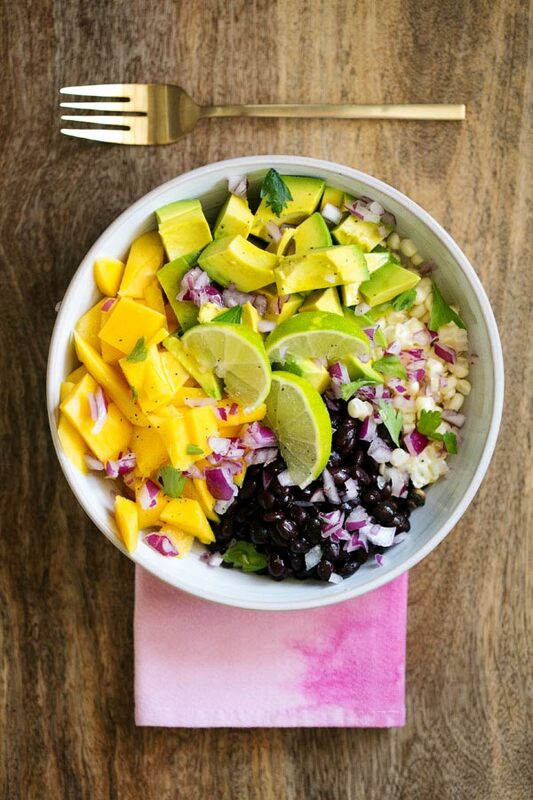 I can’t quite invent recipes from scratch yet, but years ago my dear friend Melissa gave me this mango, avocado, and black bean salad recipe. 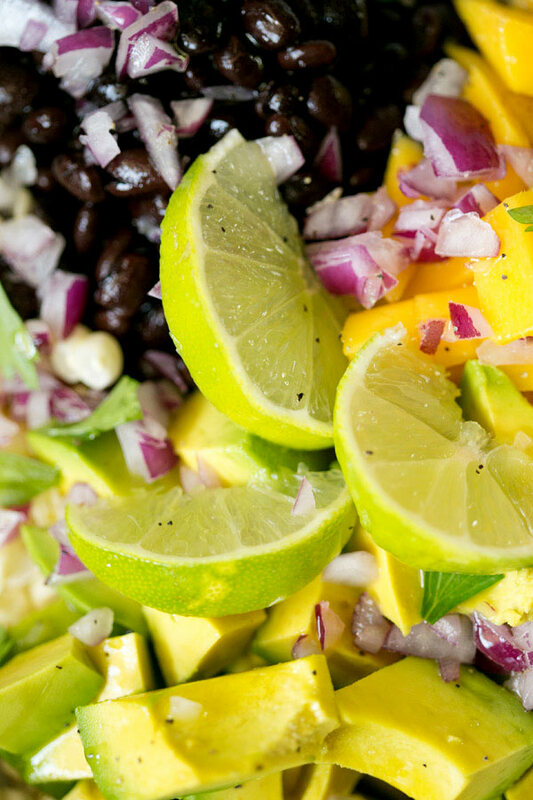 It’s quick, healthy, delicious, and doesn’t even require any cooking! I hope you enjoy! This salad is absolutely delicious! My husband and I loved it. Light yet filling; I added quinoa for extra protein. Will definitely make this again! Greetings from Brazil! I just had this salad for dinner with my husband and we simply loved it! Thank you! Yum! I love all the bright & vibrant colors. It looks so good! 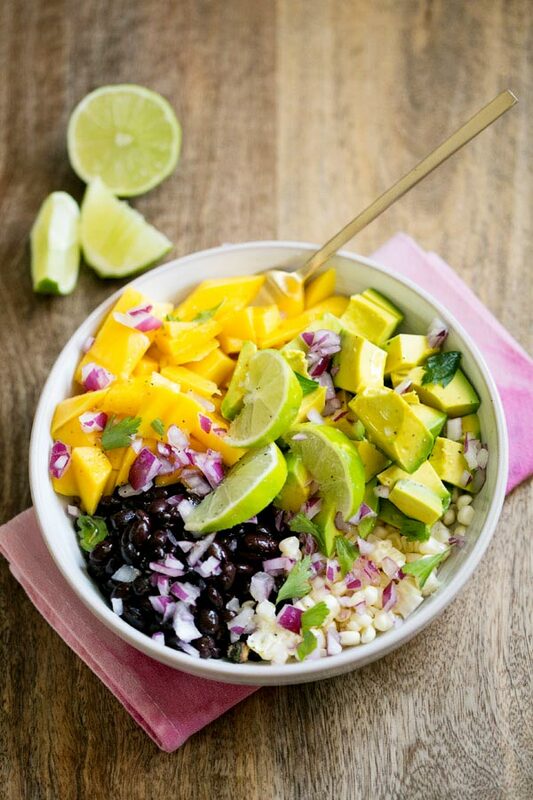 And sort of reminds me of the bowls @ chipotle, but a lot more healthy. i made this last night…wow. my boyfriend said "let's keep this in the rotation!" Can't wait to try it! Yum! Great salad! My husband and I both thoroughly enjoyed this. My only comment would be to separate your leftovers and put the fresh avocado in the day you eat it. Very refreshing! This is an amazing salad! I made it for my husband and I. This is one of our summertime favorites!